The best talent isn’t looking, which means it’s time to be even more proactive when sourcing top candidates. It’s time to direct your efforts towards strategically sourcing the BEST talent in a tight hiring market. This ebook will teach you the ins and outs of best practices for sourcing candidates for your organization. The sooner you adopt these practices, the better your organization will do when sourcing for talent against the competition. 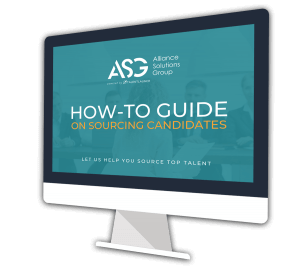 Download your candidate sourcing ebook! Contact Us Details	 Source	 Campaign	 Brand	 Branch	 Division	 Lead_Industry	 By checking this box, I consent to receive digital communications. Sourced candidates are more than two times as efficient than candidates who apply. Re-engagement is a missed opportunity for many companies. Leverage your team’s past efforts. Where to source candidates and how to nurture them. Employers who use social media to recruit see a 50% increase in candidate quality. How is your firm going to fulfill its hiring needs with the current talent shortage? Read our most recent ebook “How-To Guide on Sourcing Candidates,” for actionable tips to take your sourcing strategy to the next level. This ebook is for recruiters, hiring managers, talent leaders, and anyone who’s looking to grow their recruitment process into a strategic machine. After you download this ebook we will be in touch shortly via email, providing you with valuable insight that will help your organization succeed its hiring goals.